When you give cash or write a check to charity, it’s easy to know the exact value of the gift, but when you give a gift of stock, you have a general idea of the value of your gift, but it can be harder to pin the value of your gift down to the penny. The main problem is that the prices of stock fluctuate nearly constantly, so how and when do you determine the value of your gift? The IRS also doesn’t like you to use rough estimates on your tax forms; they prefer a black and white number. Ultimately, the donor is responsible for filing their taxes correctly, but they also need a receipt from the charity for their records in case they are ever audited. Ideally both the donor and the charity should know the rules on how to value gifts of stock and if their valuation methods agree, keeping records and filling out tax forms correctly should be easier. The IRS does have a methodology for determining the value of a charitable gift, so there is a right answer. Which of the following methods of valuing a gift of stock is correct? So the answer is D: the average of the high and low price of the stock or bond on the date of transfer (meaning the date the security left the client’s account). 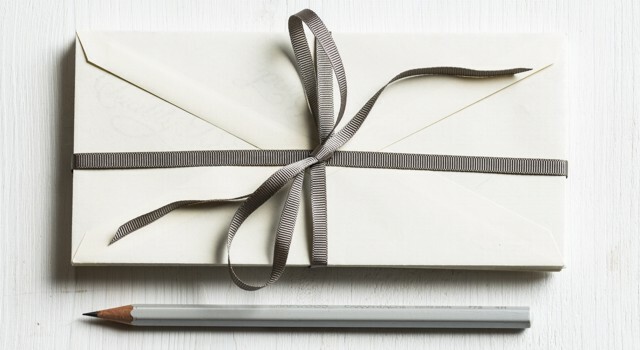 This can be tricky sometimes because there may be a discrepancy between a charity’s letter of acknowledgment of a gift and the client’s own calculation of the value of the gift. Calculate the value of your gift using the IRS-approved methodology, regardless of what the charity sends you. Chances are good that the charity’s dollar amount and the amount you calculate will be close, and you can feel confident defending your methodology on your taxes, should you ever be challenged or audited. Start using this methodology to calculate the gifts of stock you receive from donors. It may take a few minutes longer, but you will be providing a great service to your donors to send them the correct value. If you’re a donor, at least one day after your gift transfers out of your account, check your account to find the date the stock or bond left your account. If you’re a charity, use the date the security transferred into your account. Look up the ticker symbol, go to Yahoo finance and enter that symbol in the search box. Once you’ve found the stock or bond, click on “Historical Data” and find the date of transfer. Add the numbers under the “high” and “low” columns, and divide by 2. That’s the average price per share on that date. Multiply the price per share by the number of shares you gave away. If you gave multiple stocks away, use this same method for each one. Example: Claire gave away 10 shares of Apple, Inc. stock (ticker symbol: AAPL) and they left her account on September 12, 2017 to a qualified charity. The highest price on September 12 was $163.96, and the lowest price was $158.77. This means the average price per share was $161.365. Then she multiplied the price per share by the 10 shares she gave away, and got a total gift of $1,613.65. This is the amount she will put in the folder she’s keeping of 2017 tax documents so she doesn’t have to look this information up again next year. Using this method, you can rest secure in the knowledge that you’ve correctly valued your gifts for your charitable gift tax deduction, avoided paying capital gains tax on highly appreciated stock you own, and done it all while contributing to a worthy cause. It’s a win-win-win-win scenario.